1914, Rome, Alfredo di Lelio had all reason on the world for being happy. Yet, he felt troublesome. His wife was pregnant, but lost her appetite and nothing could make her eat. After several tries with various dishes Alfredo almost started losing faith. It had been several days Alfredo’s wife had stop eating and her pregnant body was in a bad need of a rich meal. 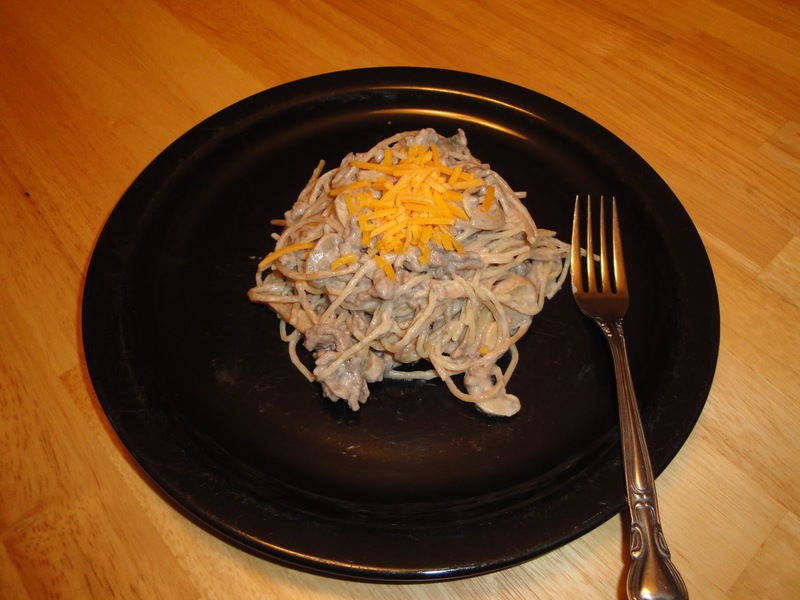 He first thought of Fettuccine al burro, yet he doubled the amount of butter before adding the Pasta to the bowl. For Fettuccine al burro a second amount of Butter would be added afterwards. Thus, the original name of the dish was Fettuccine al triplo burro. The change was just a simple one, but Alfredo’s wife started eating again and he started to serve the »new« dish in his Restaurant ,Alfredo all’Augusteo, located in the Piazza Augusto Imperatore, just in the very center of Rome. He even served it with golden forks. American tourists soon started loving the dish and brought it to the US. Further changes were made and additional ingredients were added. Just like the Spanish Paella it seems more popular with foreigners than with actual locals. The most popular additions are shrimp and chicken, but also, turkey, salmon or even lime are known today. If you received this in your inbox, please forward the email to your friends and family you think might like Christine's Pantry. Spread the word. If you could, click the stumble Upon icon to the right on the side bar. I appreciate all your support. Thanks! Are you ready for Halloween? I would love to see your Halloween costumes. I have to say homemade Halloween costumes are my favorite. My mom made all our Halloween costumes. Have a good one. Cook spaghetti according to package directions. In skillet, brown ground beef, add Worcestershire sauce, salt and pepper, drain grease. Add Alfredo sauce and mushrooms. Stir well. Add cooked spaghetti. Stir well. Garnish with cheddar cheese. Enjoy! LOL What a funny story! Good thing he managed to get his pregnant wife to eat again with this dish. Amazing information, I love to read the background of food, this is so flavorful! Quick, easy, and tasty dish on a busy weeknight! Thank you for your goo wishes for my granddaughter's birthday, Christine! This looks good and easy! Thank you for stopping by my blog. Glad you liked my cake pops. You're welcome. I hope she has a wonderful birthday. I know she will like the cake. Looks delish! Haven't had this in eons. What a wonderful back story to this dish. I love your version for an easy weeknight meal. Love the origins of Alfredo story! Smart man...tripling the butter. I love the history you've shared with on on this one! Love that you shared the history! Cool story! And the dish sounds delicious! This dish looks like pure comfort food, and so easy to make. I love reading the history behind the dish. this dish looks like pure comfort food and easy to make. I love the history behind the dish. Great dish, and fascinating story behind the dish. Thank you for sharing the story and the recipe. I appreciate all your comments. Thanks! I buzzed you like crazy on foodbuzz. Awesome recipes. Sounds like a wonderful dish !